History is an engaging, evidence-based discipline allowing students to step away from the current world in order to understand how the establishment of the Roman Empire, the scramble for Africa, and the rise of military leaders like Mao in China have shaped the world today. History is an exploratory subject, which fosters a sense of inquiry and curiosity. It allows students to share multiple perspective and opinions on subjects, promoting an understanding of the past and allowing for a deeper understanding of the present situation. And what better way to explore the learnings of your history curriculum with your students than by traveling to the destinations talked about in the textbooks? In this two-part-blog-post, we start by exploring two important historical topics – the causes and effects of war and dynasties and emperors of the world. We’ll introduce you to some of the most historically-significant places and sights for you to take your students to, and dive deeper into the subject of history. Learning about World War I and II from textbooks and YouTube videos is already fascinating and moving, but nothing beats the experience of taking your students to the places where it actually happened. When learning about WWI you can visit Sarajevo in Bosnia-Herzegovina, the place where one might say sparked the beginning of WWI. The classic World War I trip is to the north of France, to the Normandy, specifically to Verdun. Verdun is where one of the bloodiest battles of this or in fact any war took place, lasting for nearly all of 1916 and killing hundreds of thousand of men. When learning about WWII, one of the most moving places to visit is the house of Anne Frank in Amsterdam or the Holocaust Memorial in Berlin. Poland offers countless options to combine your history curriculum with. You can visit Schindler’s factory in Krakow, the story a German industrialist who saved more than 1000 people of Jewish origin by employing them in his factories, for example. The story later became a must-see Steven Spielberg film “Schindler’s List”. Alternatively, or additionally, you can visit Auschwitz-Birkenau, the world’s most famous concentration camp. A moving tour by survivors of the holocaust will provide students perspective of the horrible actions during WWII by the Nazi party. There is no better place to learn about dynasties than in China. 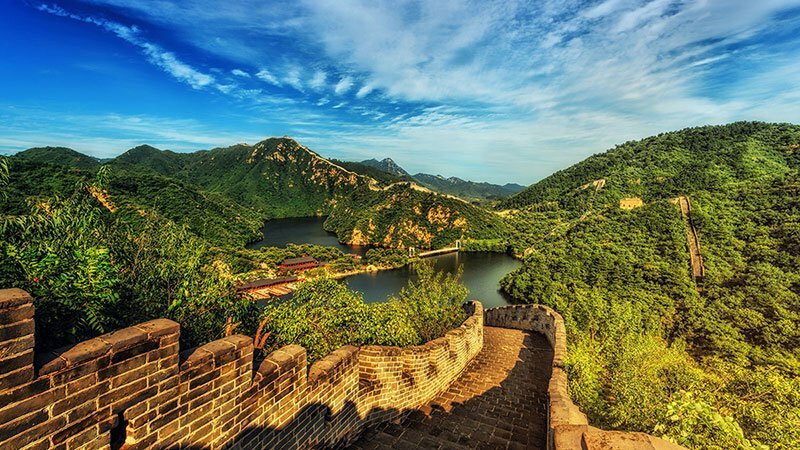 We recommend starting your journey here by visiting the Great Wall of China, an ancient defensive architecture with more than 2,300 years of history. Originally it was built in different areas by different dynasties to protect territorial borders. Today, it is a must-see attraction. If you are in China, don’t forget to visit the Forbidden City (or the Palace Museum). This impressive location used to be an imperial palace in the Ming (1368–1644) and Qing (1644–1911) dynasties. The layout of this palace is strictly according to Chinese fengshui theory and is considered the world’s largest ancient palatial structure. If you are currently learning about the emperors that were ruling the world throughout modern-day Europe, then a stop in Rome is a must. Visit the Colosseum, where you will learn about the first bloody fight in A.D. 82, between men and beasts in a public forum with crowds reaching 50,000! Should you be learning about the Austro-Hungarian Empire, stop by Prague, the capital from 1583 to 1611. It was during the reign of Emperor Rudolf II, when Prague became a glorious city with wealth as prosperity and reflected the cultural center of the Holy Roman Empire. Discover Prague Castle, where Emperor Rudolf II held his bizarre courts of astrologers, magicians and other strange figures. Rudolf II legalised extensive religious freedoms unparalleled in the Europe of that period, resulting in mass immigration. Our next blog post will feature more about the history of military leaders and South America’s historical past, so be sure to visit this space again soon. Want to organize a customized history trip for your school and curriculum? Contact us today!